This is the last show at Nisus Gallery. 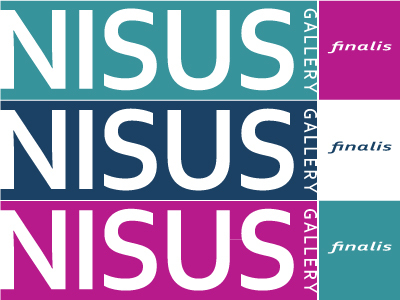 The show features select works from past exhibitions that represent the variety of mediums and styles seen at Nisus. Nisus is closing for a simple reason; I am moving onto the Board of Directors at Disjecta Interdisciplinary Arts Center. Though I would love to do it all, the demands of being on the board, my regular job as GM of Good Sport Promotion, and the other various projects I work on make that impossible. There are many people to thank. Brian Wilson, Bryan Suereth, Liz Lamb, Beth Gates, Josh Smith, and Jenene Nagy for helping me get started. Co-curators Andrea “Ray” Boyle (“Over Water”), Carla Schultz (“Meat”), the Center for Cartoon Studies (“Paneled”), Kate Rosenheim (“You’re Not Invited”), Alison Reilly (“You’re Not Invited”) and Toni Tabor-Roberts (director Small Space, Big Stories) for their excellent work. Many thanks to the 60 artists who exhibited work here. 60 different artists! It was great to work with you. Thank you, you remain at the core of it all. Special thanks to Raina Lawler for putting up with it all. Finally, thanks to you, everyone who came to the gallery. Keep supporting the artists and art. This final show is dedicated to you.